Please accept my affectionate obeisances. I’m just sending a reminder that there are two beautiful holy days next week. On Thursday, December 15th at 6 pm please join us in either Santa Cruz or San Jose for a beautiful celebration of the Divine Appearance Day of our beloved Srila Gurudev, Om Vishnupad Paramahamsa Parivrajakacharyya-varyya Astottara-sata Sri Srila Bhakti Sundar Govinda Dev-Goswami Maharaj. Please come back again on Saturday, December 17th for the Disappearance festival of the founder of the Sri Chaitanya Math and worldwide Sri Gaudiya Maths, Bhagavan Sri Srila Bhakti Siddhanta Saraswati Goswami Prabhupad. These festivals are wonderful opportunities to honor our perfect divine masters. I pray you will be able to attend and enhance the mood of joyful devotion in our celebrations. 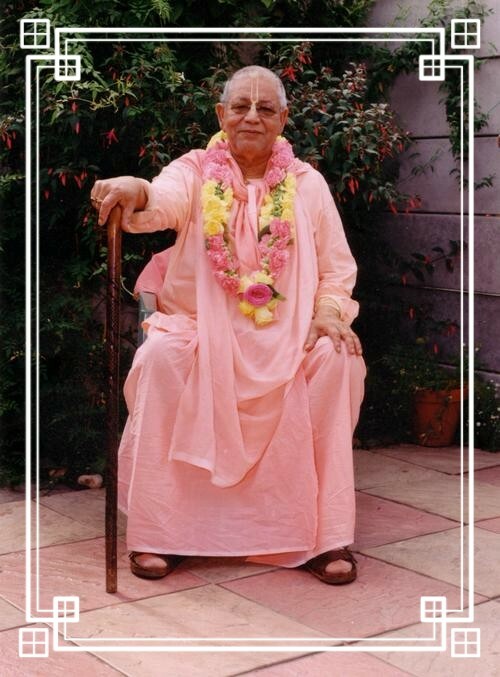 Bound by Affection An article by His Divine Grace, Srila Govinda Maharaj about his arrival at Sri Chaitanya Saraswat Math in 1947. Audio: Preparing for Sri Vyasa-Puja.Morning class by Srila B.N. Acharya Maharaj two days before the grand 82nd Appearance Festival of His Divine Grace Srila Bhakti Sundar Govinda Dev-Goswami Maharaj. Srila Gurudev visits Sripat Bamunpara, the village of his holy appearance, and Nadanghat from where he came to Sri Chaitanya Saraswat Math in 1947. Much to the delight of the devotees His Divine Grace Srila Govinda Maharaj personally attended these festivities continuing the celebrations of Sri Vyasa-Puja. Five web-pages including pictures, synopsis of events and interviews with devotees about the significance of Bamunpara. Talk by Pujyapada Satprasangananda Prabhu (later to become Sri Nayanananda Das Babaji Maharaj) in glorification of Srila Govinda Maharaj in Nabadwip in 1986.